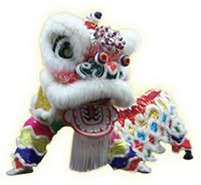 To accompany our authentic Chinese Lion or Dragon Dance we can also provide you & your special day with a Chinese Firecracker (Fireworks) display and a variety of other Chinese art forms. Moving into a new home or business? We also offer an authentic Chinese house blessing ritual to bring good fortune, harmony and balance to your new property! For all inquiries & booking; ring us today! Associations: Worcestershire Chinese Association, Cheltenham Chinese Parents & Children Association, Bordesley Village Community Association Birmingham, Gloucestershire Chinese Women’s Guild, Overseas Chinese Association Bristol, University of Birmingham Singapore Society. Care Homes: Millbrook Lodge Nursing Home Gloucester, Gracewell of Edgbaston, Trevone House Gloucester, Sandfields Care Home Gloucester, Royal Star & Garter Solihull, Gracewell of Sutton Coldfield, Ashfield House Leominster, Monkscroft Care Centre Cheltenham. Casinos: Grosvenor Casino Birmingham, Casino 36 Wolverhampton, Rainbow Casino Bristol. Charities: St. Richards Hospice, National Trust, Gloucestershire Chinese Resource Centre, Worcester Snoezelen. Restaurants: Minh’s of Tettenhall, Minh’s of Hanley, Singapore Restaurant Worcester, West One Bar Hagley, Summer Palace Studley, Mandarin Oriental Brassiere Stafford, Minh’s of Shifnal, Minh’s of Penkridge, Wong’s Birmingham, Star Inn Malvern, Four Seasons Worcester, New Four Seasons Worcester, Cheng Ye Worcester, Golden Orient Chinese Buffet Stafford, Angel Chef Worcester, House of Canton Wolverhampton, Vineyard Cantonese Telford, The Real China Cheltenham, Golden City Gloucester, Kung Fu Oriental Buffet Worcester, Q Panda Worcester. Retirement Villages: St. Oswald’s Retirement Village Gloucester, Beacon Park Village Lichfield. Schools/Colleges/Universities: Birmingham University, Cleeve School Bishops Cleeve, Chosen Hill School Gloucester, Hagley Haybridge High School, Hester’s Way Primary School Cheltenham, St. Thomas More’s Primary School Cheltenham, Digglewell Primary School Gloucester, Prince Henry’s Grammar School Evesham, Christopher Whitehead Language College Worcester, Abbeymead Primary School, Gloucester, Pinvin C of E First School Pershore, Bowbrook House School Peopleton, Robin Hood Academy Birmingham, Tredworth Infant School Gloucester, King’s Hawford School Worcester, Pate’s Grammar School Cheltenham, Bushbury Lane Academy Wolverhampton. Shows/Carnivals: Alfrick & Lulsley Show, Pershore Carnival, Shifnal Carnival, Barton & Tredworth Cultural Fayre Gloucester. Weddings: Lai Family Wedding Stafford, Peliza Family Wedding Tetbury, Tang Family Wedding Birmingham, Rodriguez Family Wedding Worcester, Ma Family Wedding Newport, Tsang Family Wedding Gloucestershire, Agar-Hutton Family Wedding Daventry, Pope Family Wedding Berkeley, Mann Family Wedding Gloucestershire. Other: Weetabix Limited, Gloucester Royal Hospital, Gloucester Cubs & Scouts, Pershore Dragon Boat Racing, Galaxy Classique Dance Awards Wolverhampton, Magical Lantern Festival Birmingham, Hyperama Wholesale West Bromwich, Ma San Auction House Bath etc. “Thank you for an amazing performance on our wedding day, you blew us away and so did the Vodka lol! Our families and friends really enjoyed the surprise and it represents a lot to our culture. We can’t thank you enough, all the best in the future; we will never forget the awesome performance”. J Tang. “Everyone at the wedding was completely blown away by the Lion Dance and it proved to be a huge hit with everyone. What an amazing performance!!! We cannot thank you enough. It was definitely the surprise element that we wanted. On a more serious note – the story and messages behind the tradition meant a lot to Rosie & James and we are sure that it got their married life off to a very special start. Please pass on our thanks and huge gratitude to your team for helping to make what was a very special day even more perfect!” S & K Pope. “We would like to thank you for the wonderful performance of the lion dance at the wedding last Saturday. Your troupe of performers played and danced very professionally. It really was amazing and the highlight of the evening. The wedding guests could not stop talking about it afterwards. Many thanks from S & M Lai-Cheong”.